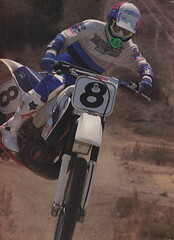 Time for another couple of classic bike tests from my collection of motocross mags. These two cover the 500 class of 1989. One shootout is from the dearly departed Super Motocross magazine and the other is from the grand-daddy of off-road mags, Dirt Bike.